Over the Summer of 2019, the Drawing & Painting Studios located on Level 4 south of 100 McCaul St. will be closed for renovations. Renovations will begin in May, following the Graduate Exhibition, and will be completed by August 31, 2019. How will the studios change? The south wing of the Drawing & Painting studios on Level 4, known as the Ada Slaight Studios, and their adjacent washrooms, offices and storage areas will be completely closed throughout the renovations period. During this period, the Drawing & Painting resource office will operate in MCA 440, and the build shop functions of MCA 475 will run in MCA 430. Some areas on the north side of the main building at 100 McCaul St. will be impacted while the heating, air conditioning and ventilation (HVAC) end-of-life units are offline and upgraded during the summer. Temporary measures will be implemented to maintain environmental comforts in the building. We’re here to collaborate with you as we work through the challenges and opportunities in this project! Don’t hesitate to get in touch with the team about any question!​ Reach us at creativecitycampus@ocadu.ca​. 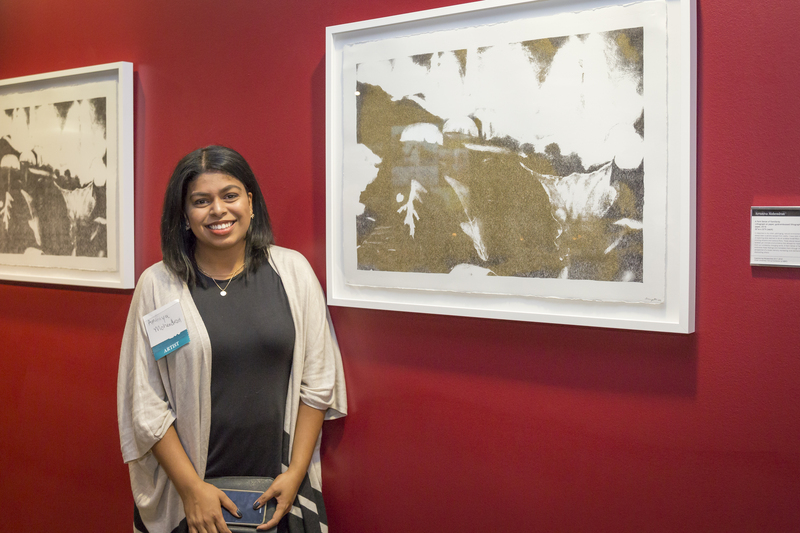 The ninth annual Experiencing Perspectives art exhibit opened on October 17 at Mercedes-Benz Financial Services, featuring works by students, alumni and professors from the Drawing & Painting Program of OCAD University. The exhibit, featuring more than 70 works by 43artists, opened with a reception at the company’s Mississauga offices. 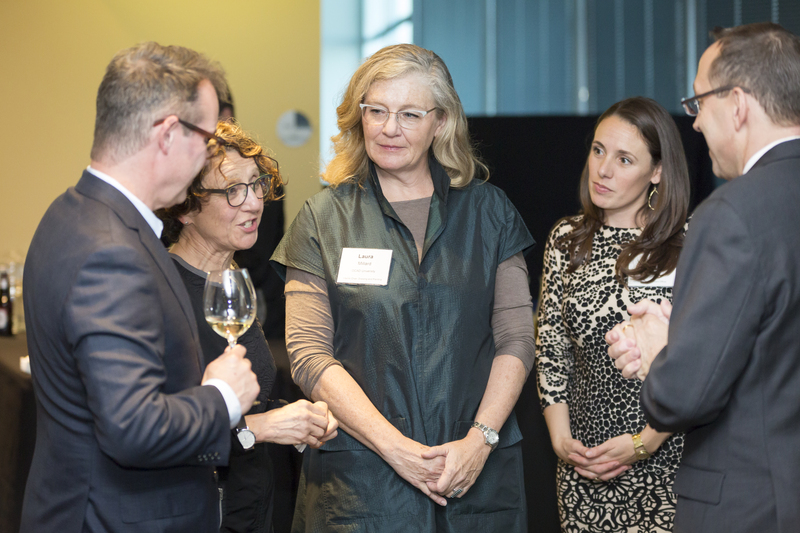 Guests at the reception enjoyed an opportunity to meet with the artists. Special guests included Thomas Beck and Yvonne Denz from the Canadian German Chamber of Industry and Commerce and Judy Leroux, long-standing community partner from Youth without Shelter. Stefan Karrenbauer, President and CEO of Mercedes-Benz Financial Services Canada, hosted the reception, with Katie Cauzillo, Art Program Specialist and curator of the exhibition, as well as Leila Matta, Art Program Manager who oversees the company’s art exhibitions in Canada and the United States. 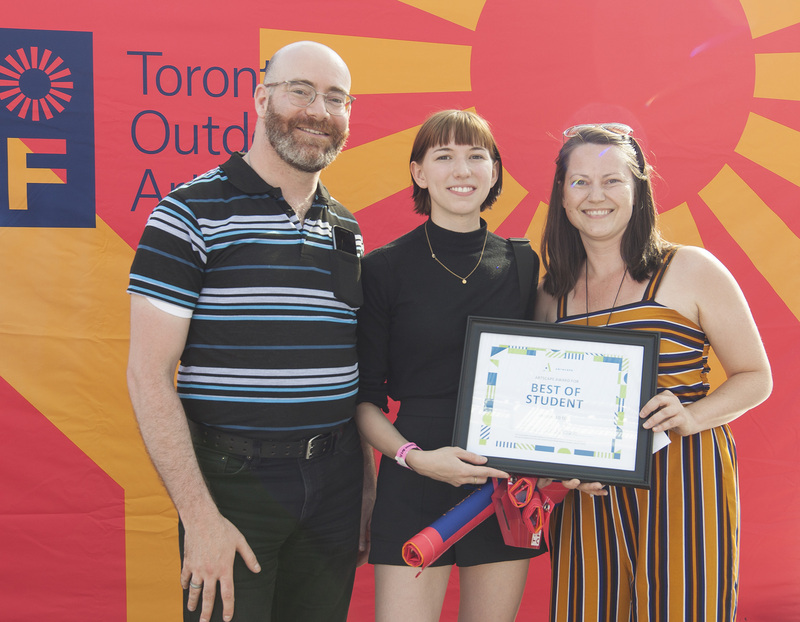 Guests from OCAD U included Laura Millard, Interim Chair, Drawing and Painting, Anda Kubis, Associate Professor, Faculty of Art and Gillian Flanagan, Senior Development Officer. 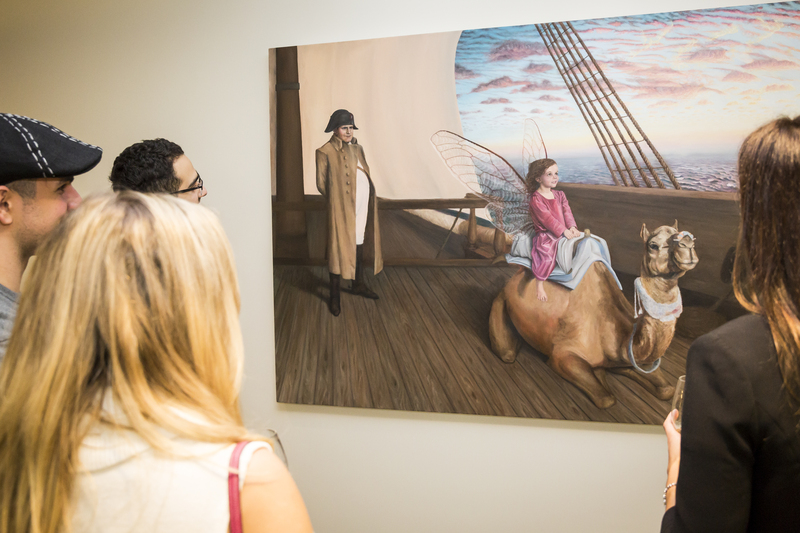 This year, the company purchased its fifth art piece for its permanent collection—artist Amanda Clyne’s painting, With Restraint. Clyne participated in the very first exhibition held at their offices in 2009. At Mercedes-Benz Financial Services, immense value is placed on the influence that art has in the workplace. 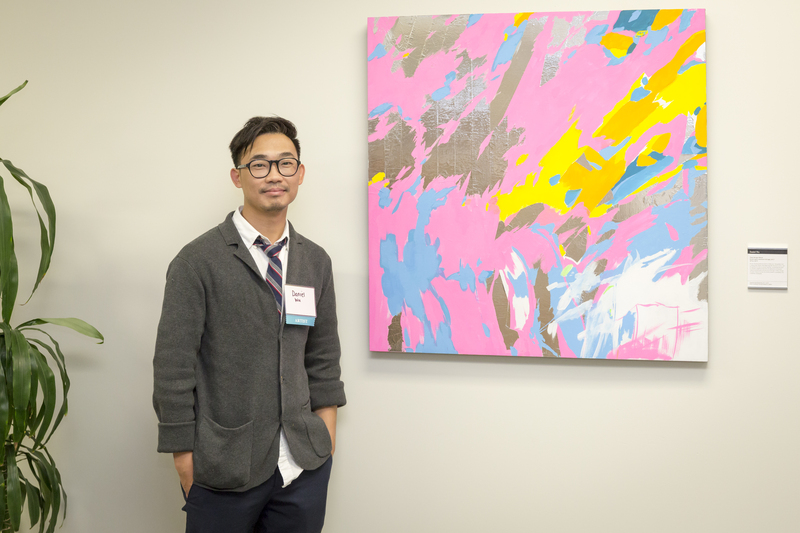 Thanks to a special partnership with OCAD University, Mercedes-Benz Financial Services enhances its work environment with cutting-edge art from their students, graduates and faculty.